Hello! Wet n Wild's Ultimate Brow Kit is a mini brow salon in a handy, purse-friendly compact. This five-piece set includes all the essentials to shape, smooth, define, and maintain perfect eyebrows. Make this one yours to achieve a defined look. 5 Piece Set Includes: Tweezers, Brow Brush, 2 Brow Powders, and 1 Brow Setting Wax. Includes a built-in mirror for on-the-go touchups. Explore the entire range of Eye Brow Enhancers available on Nykaa. 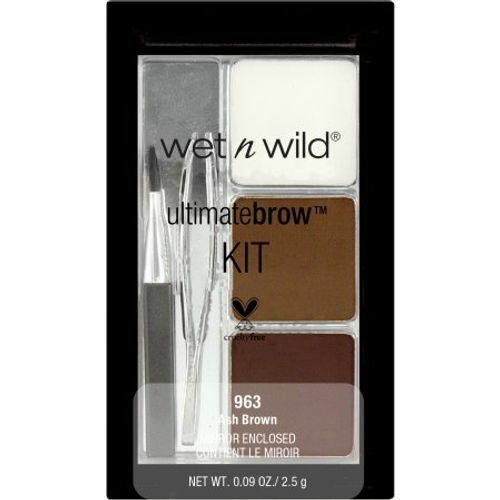 Shop more Wet n Wild products here.You can browse through the complete world of Wet n Wild Eye Brow Enhancers .